Earlier today NASA released this gorgeous new image of two colliding galaxies that began colliding about 100 million years ago. 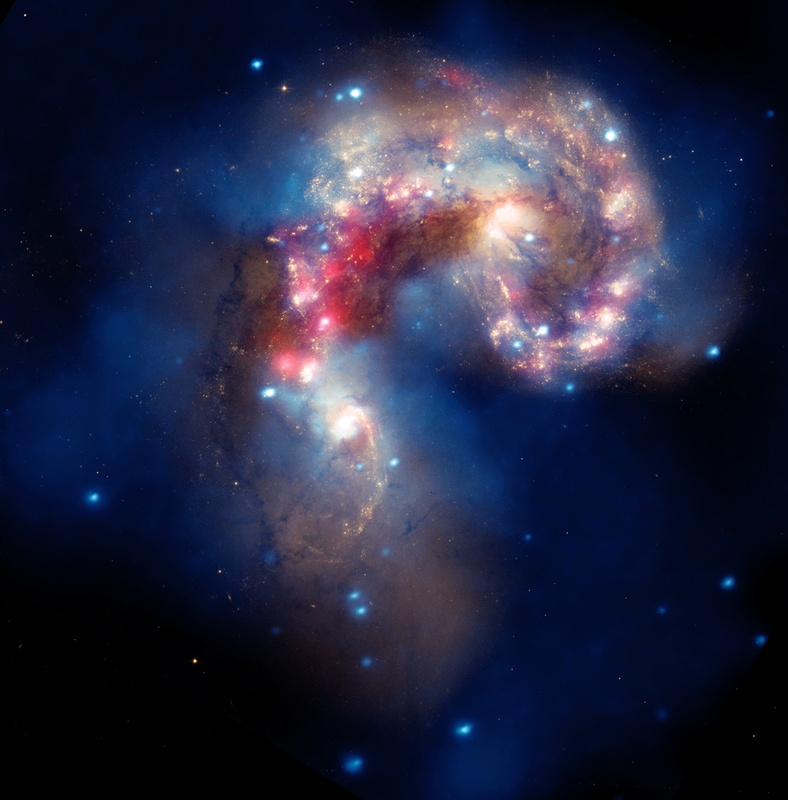 The imaging data, which were taken between 1999 and 2005, show the Antennae galaxies, so called because of the long antenna-like "arms," viewed in wide-angle views of the system. NASA says the features got generated by tidal forces produced during the collision, which is still occurring some 62 million light-years away from the Earth. It must be one heck of a show to observe up close as it has led to the formation "of millions of stars in clouds of dusts and gas in the galaxies". The biggest of these young stars have already grown up and since exploded as supernovas. To find your way through this composite photo, the image from the Chandra X-ray Observatory is blue, the Hubble Space Telescope is in ggold and brown, while and the Spitzer Space Telescope is in red.